Bigger is better, especially when it comes to drinks. 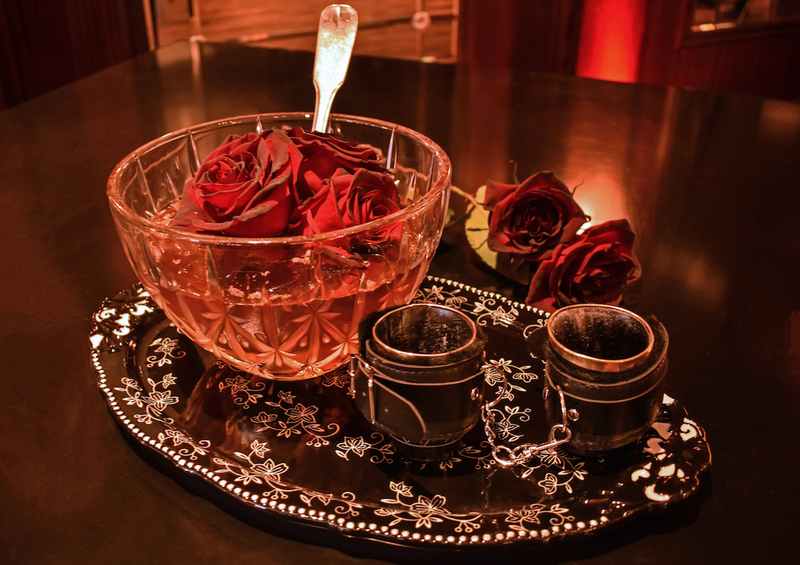 These romantic cocktails for two are designed for duos – and perfect for enjoying on Valentine’s Day. “Large format rosé sangria” is one of our favorite phrases. 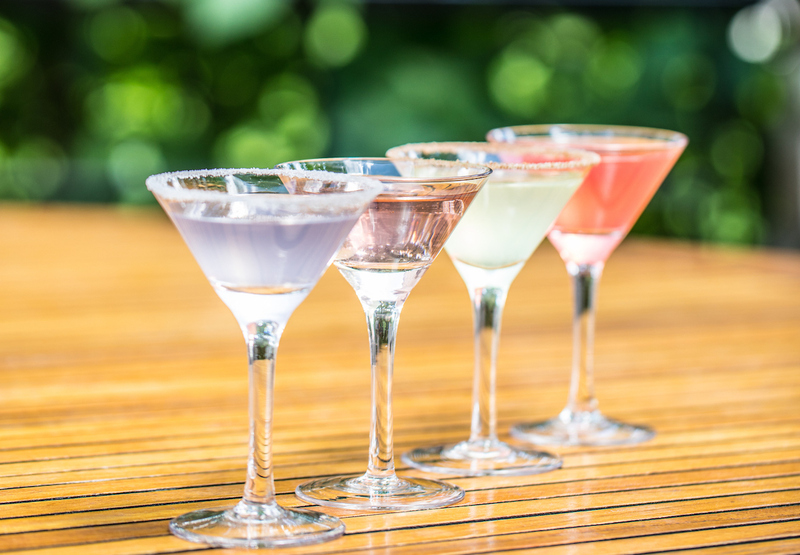 The blushing bevvie is powered by rosé and vodka and given a floral lift thanks to elderflower, while grapefruit juice adds a biting citrus edge. To ensure all the flavors meld, it’s macerated for 36 to 48 hours. Make a reservation at Arroz. How do you celebrate a decade bound to your loved one? Might we suggest the 10 Year Anniversary, a heady concoction made with Westland peated whisky, cacao liqueur, and hopped sparkling water. It’s served in a pair of cups linked by handcuffs. Make a reservation at Grant Grill. Looking to get smashed? 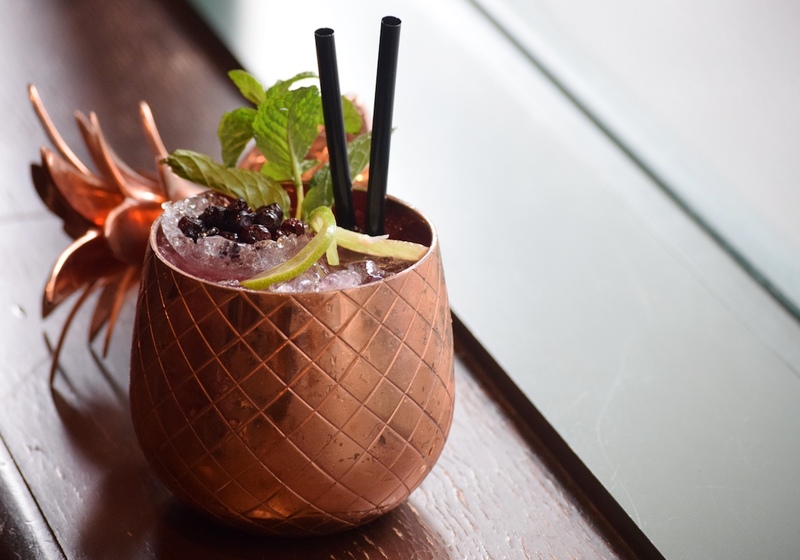 Try the bourbon-y Valentine’s Smash accented with peppermint sage tea, lemon juice, ginger syrup, and muddled huckleberries. It’s a liquid TKO. Make a reservation at Red Star. We go cuckoo for coconuts. 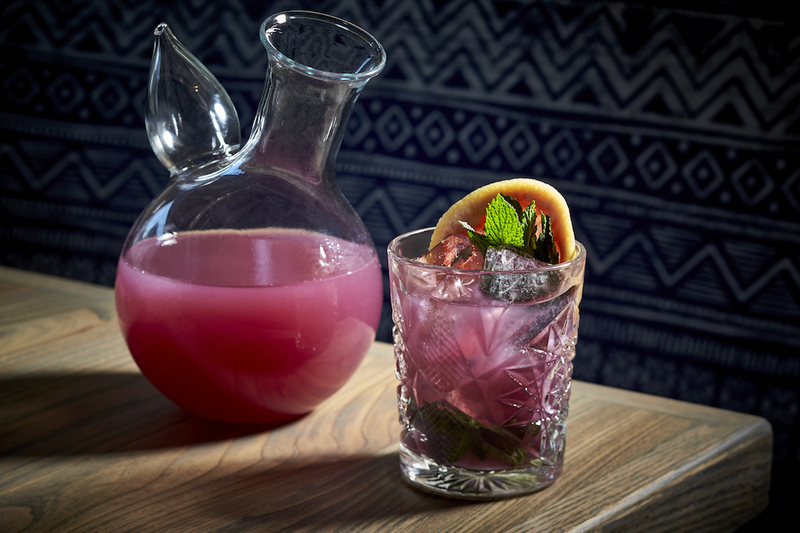 Especially one filled with Leche Dulce, a sweet ‘n’ smooth rum-forward coconut cocktail. If you and your date down a couple, you’ll both swear you’re on your honeymoon in Fiji. 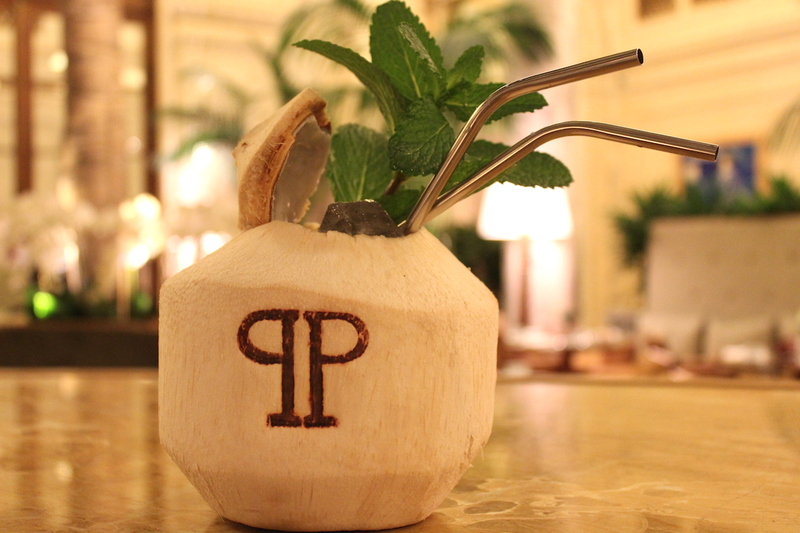 Make a reservation at the Palm Court at the Plaza Hotel. This cocktail is the bomb. 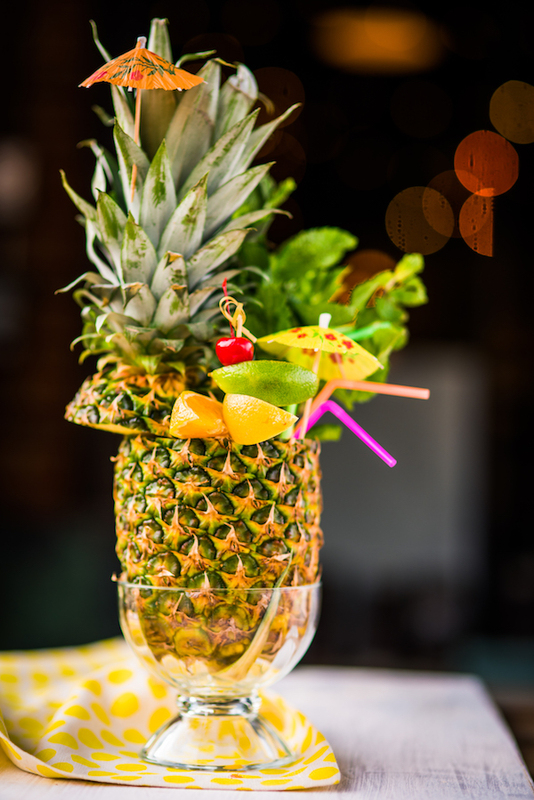 A Pineapple Tiki Bomb, to be exact. Forged from berry-flavored rum, triple sec, and fruit juices, it’s a blast of flavor. Make a reservation at Tupelo Honey. A mimosa is nice. A flight of them is even better. The fetching foursome features agave sour, strawberry, passion fruit, and mango. Make a reservation at Wildfire. Talk about flower power! The Blossom Punch is amped with gin, cachaça, rum, and Herbetet Genepy. Green jasmine tea, lavender, pineapple, and lemon lend it a complex floral-sweet-tangy-tart flavor. Make a reservation at Ai Fiori. 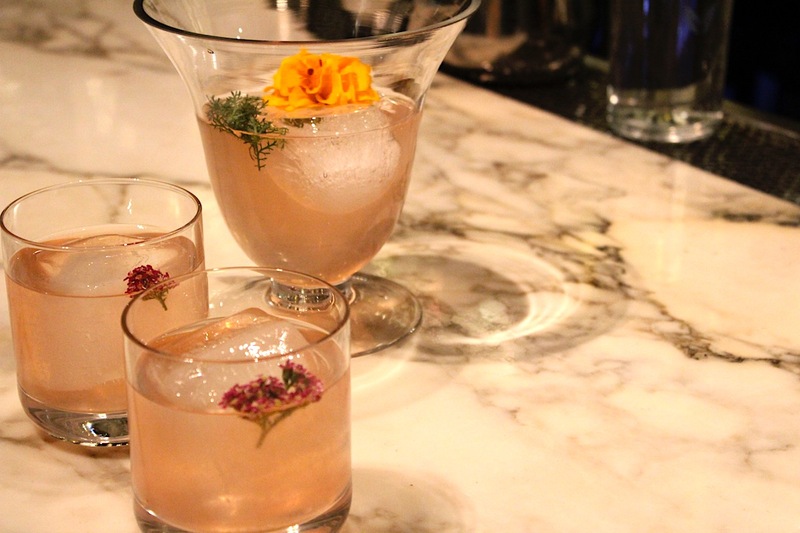 Have you spotted romantic cocktails for two at your favorite restaurants? Tell us about them here or over on Facebook, G+, Instagram, Pinterest, or Twitter. And, be sure to enter our #ValenDinesDay giveaway for a chance to win Valentine’s Day dinner for two. Photo credits: Greg Powers (Arroz).